Shopping in Teramachi and Shinkyogoku! Vanessa and Shiho, shopping in Teramachi! 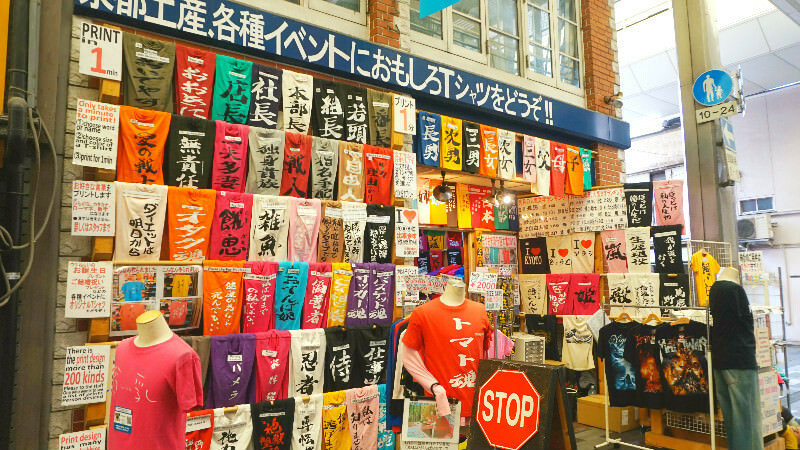 Lastly, we have a shopping report by our editors, me, Shiho, and Vanessa, from the shopping streets of Teramachi and Shinkyogoku! 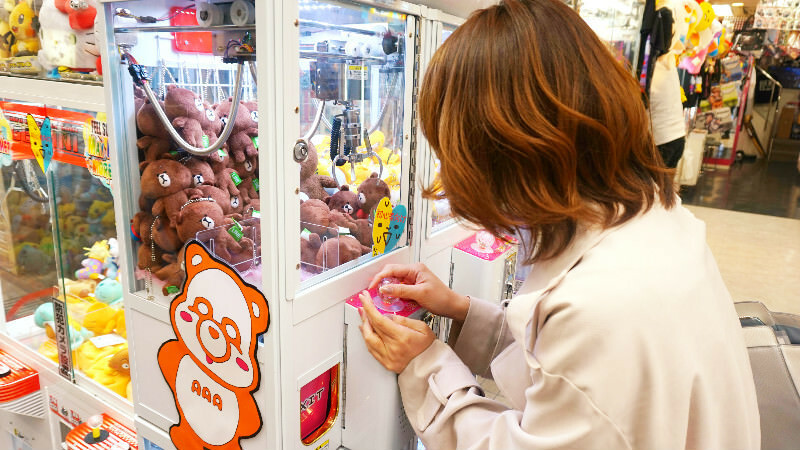 I and Vanessa both live in Kyoto, so we often go to these shopping streets, and when you go here, you are sure to have a lot of fun! We went to many types of shops and restaurants, so I hope our report can help you when deciding where to go on these shopping streets! 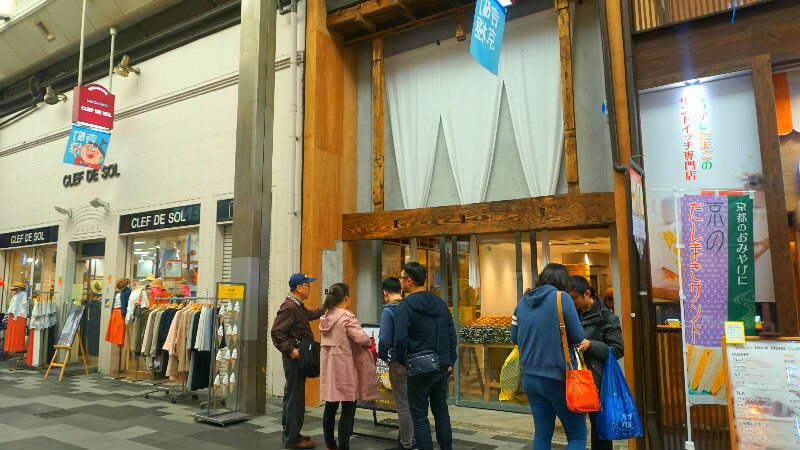 First, it is time to walk on the Teramachi Shopping Street where you can see all kinds of shops, from the old to the new. 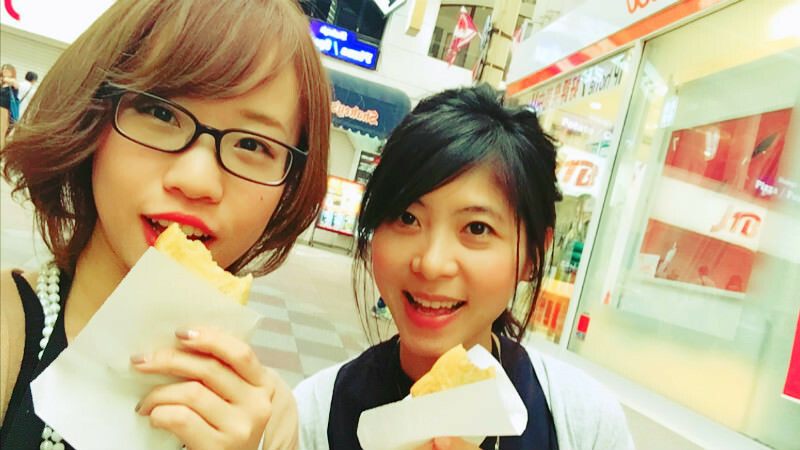 Shiho & Vanessa: Time to begin Teramachi shopping! Going into the shopping street from Shijo-dori Street, we spot a group of people in front of a shop. I wonder what kind of a shop is this. 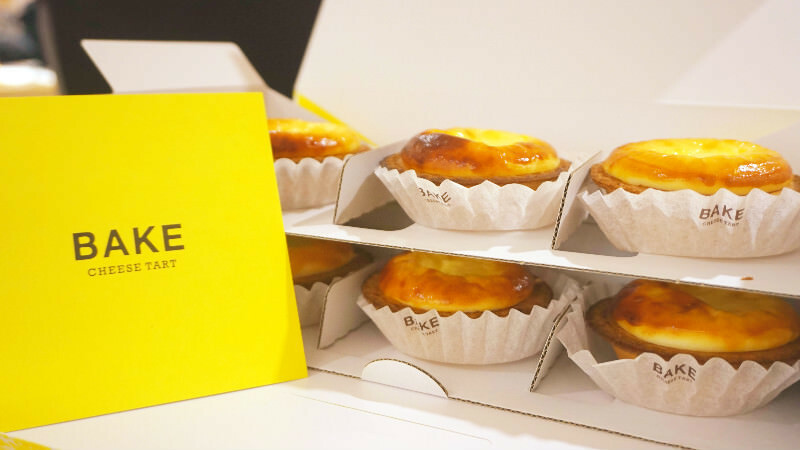 It’s the cheese tart shop BAKE that is really popular right now. 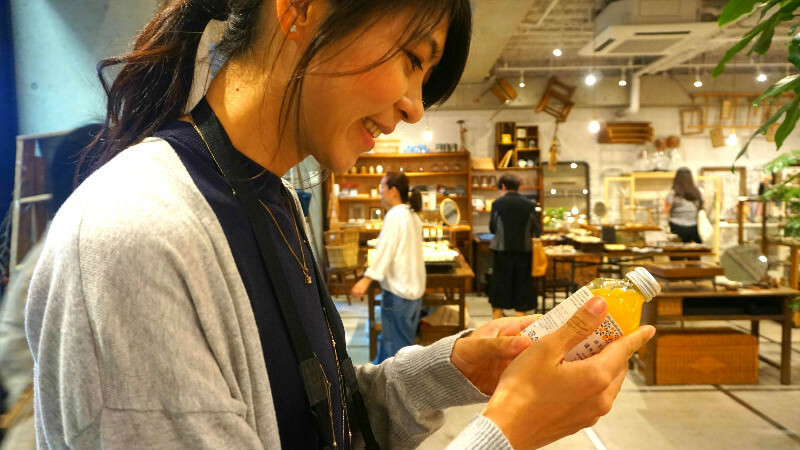 In Osaka you may have to wait tens of minutes in line to buy their cheese tarts, but here in Kyoto, depending on the time, sometimes you don’t have to wait (almost) at all! They sell for 1242 yen for six tarts, so the price is cheap. How about buying a pack and sharing them with your travel-buddies? We also got some as souvenirs for the other Sharing Kyoto staff. The tart with its crisp and crunchy crust and the cheese filling is really yummy! We leave BAKE behind and head north on the shopping street. On our way, we saw many out of the ordinary souvenir shops like this one selling t-shirts with Chinese characters on them. After all this, we arrived at mumokuteki goods & wears. 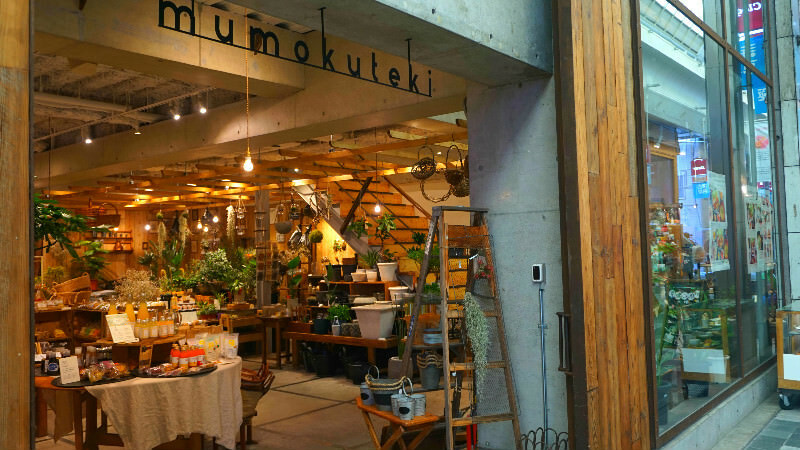 This is a “zakka” shop that I, Shiho, and Vanessa both love! This shop was also one of the reasons we decided to head to this shopping street. Time to go in! The shop is this spacious. The way you can see the concrete inside this shop is so nice! They have all kinds of products; you definitely won’t get bored here. 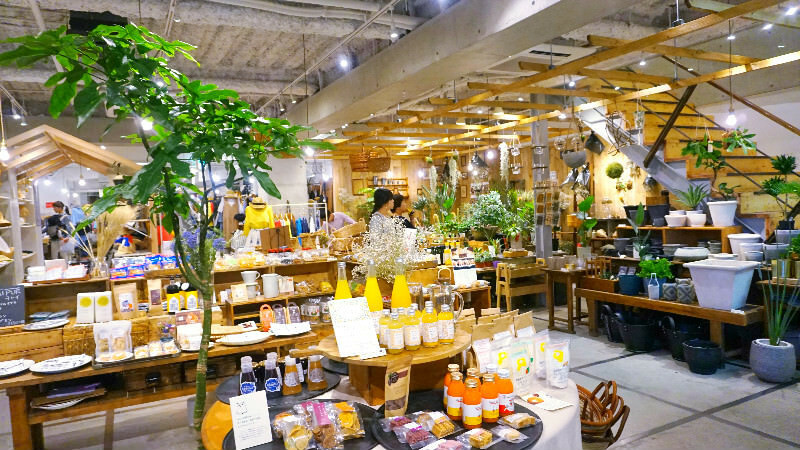 All of the products are charming, and it is hard to decide what to buy. Oh! As a girl you can’t leave this out! These fine and gorgeous rings are something every girl would like to have. 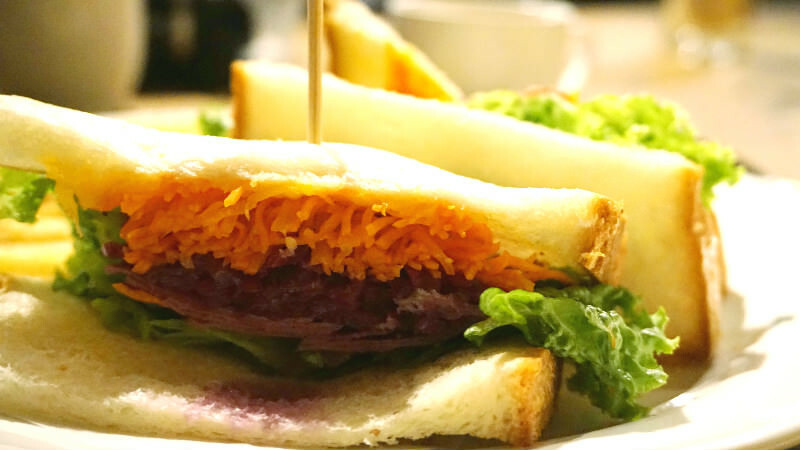 I’m getting hungry again… Time for some yummy lunch in Teramachi! 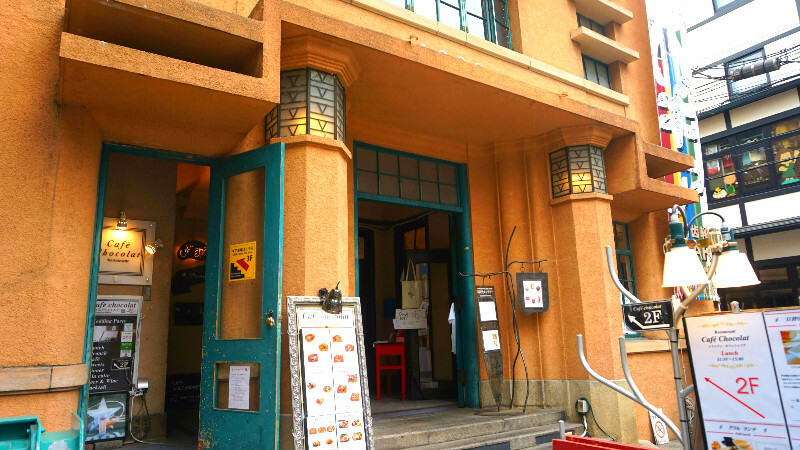 After going to all kinds of shops, and getting to the north side of the Teramachi Shopping Street, it is time to end this part of our article and have a break. 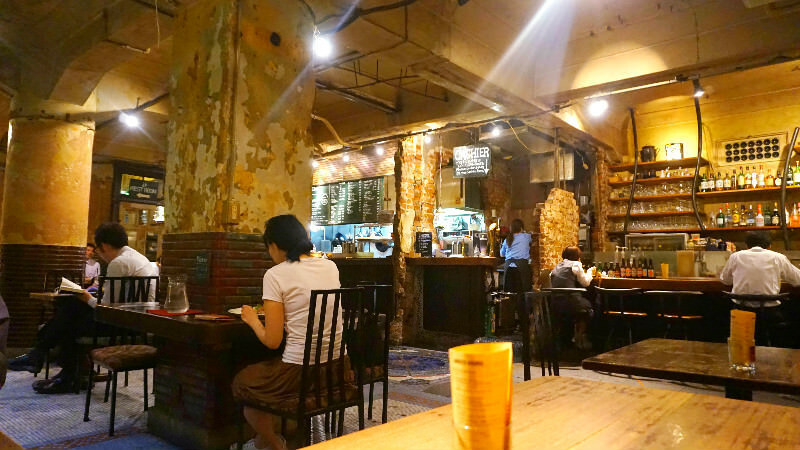 This time we went to a café near the Teramachi Shopping Street, on Sanjo-dori Street, on the basement floor of a building. I and Vanessa both often go to this café! It is open from noon to midnight, so you can visit it almost anytime! The whole building has a retro feeling to it. 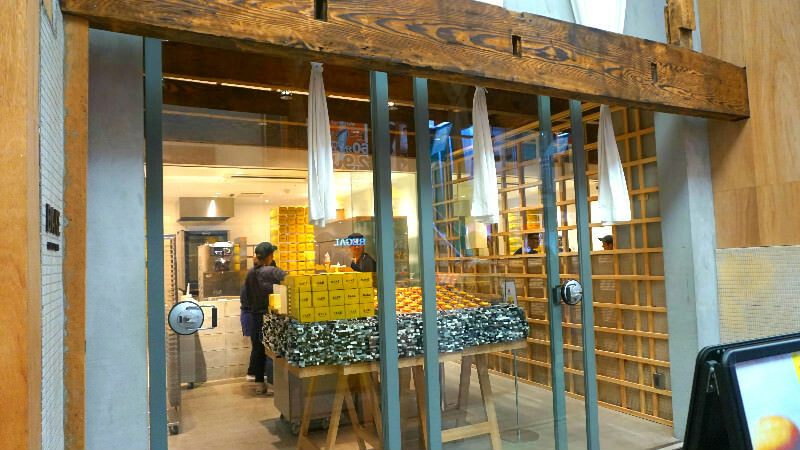 There are also other chic cafes and shops inside it. 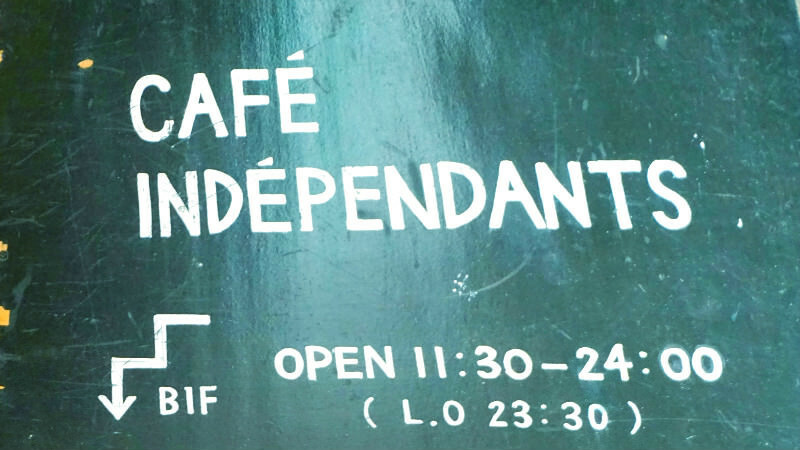 Café Independants is on the basement floor, and the stairs down to the basement are made of colorful tiles. 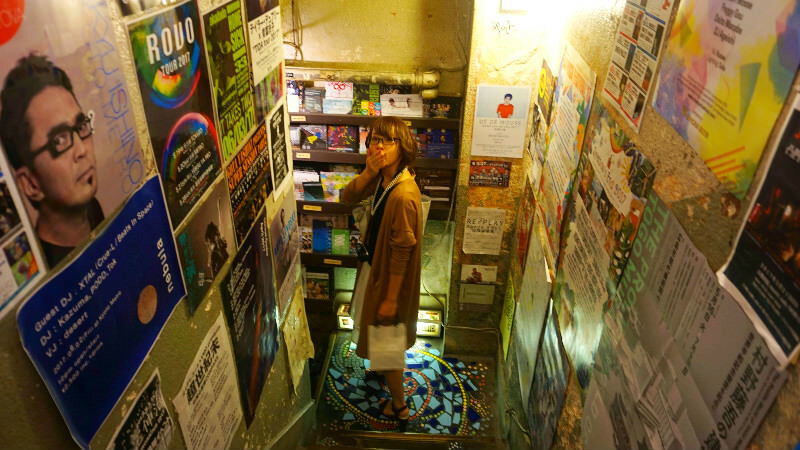 The walls are covered with posters that tell about local events which makes the atmosphere interesting. The café almost looks like a bar with its big tables and bar counter, and it is an easy place to go to no matter how many people you have in your group. Vanessa chose the “daily plate” for her lunch. There are 4-5 lunch options from which you can choose, and the prices are reasonable. 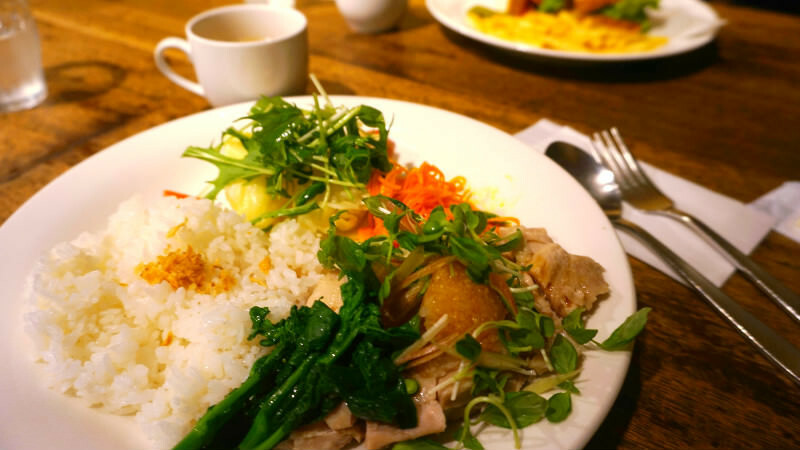 This day the main dish was steamed chicken. I, Shiho, had the sandwich set! It had a lot of vegetables and roast beef and was really yummy. 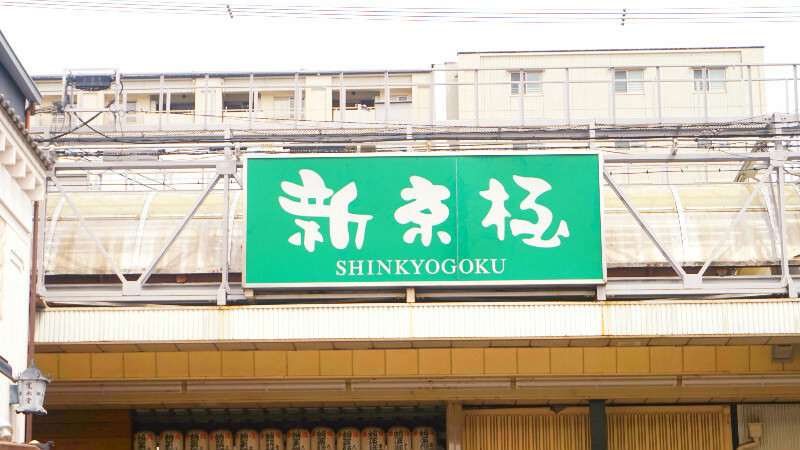 Next, shopping in Shinkyogoku Shopping Street! Now that we have a full tummy, it is time for the second round of shopping. 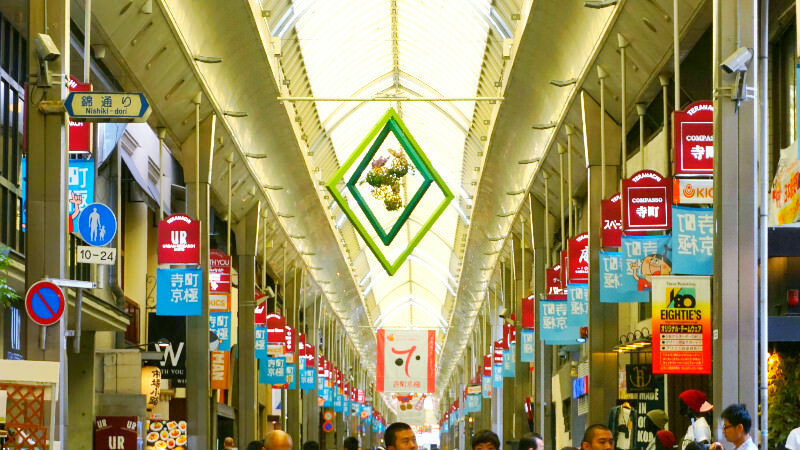 We will walk around in Shinkyogoku Shopping Street that is just by Teramachi Shopping Street. 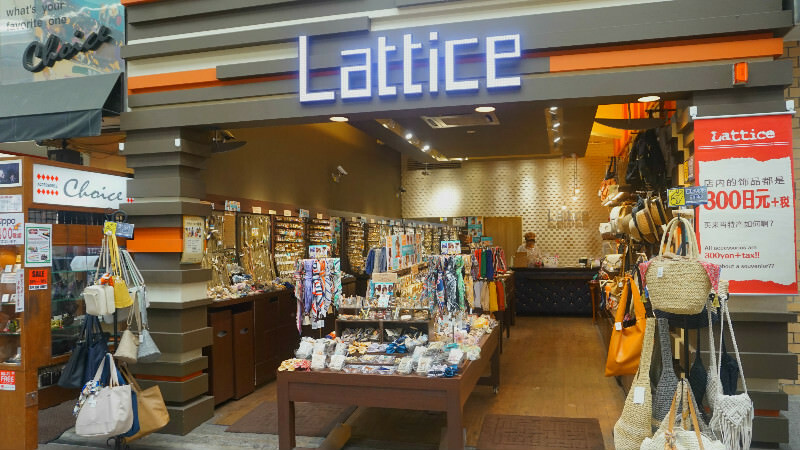 First, we went to an accessory shop Vanessa likes called Lattice. 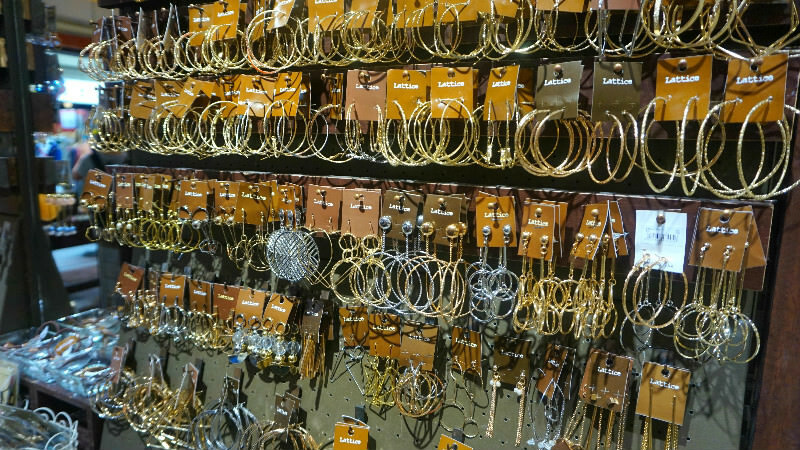 …that all their accessories cost just 300 yen plus tax! 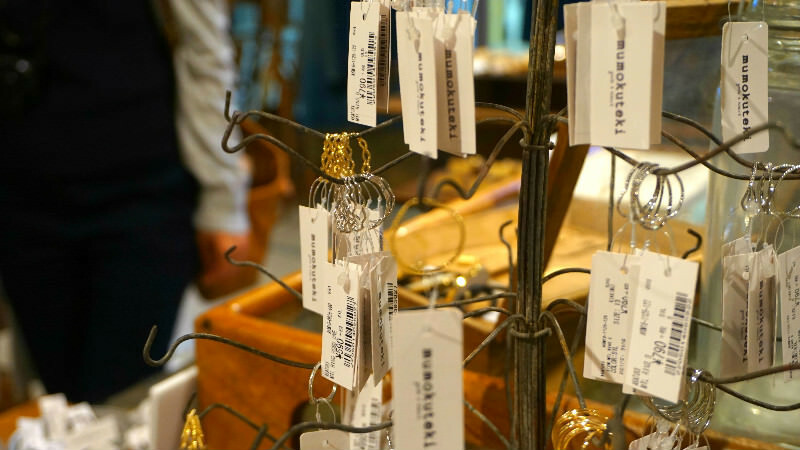 Necklaces, rings, piercings… almost everything can be had for 300 yen! They also sell bags, scarfs, and other things, so please take a look! After playing the games, we got a bit hungry… for sweets! So it was time for a little break. 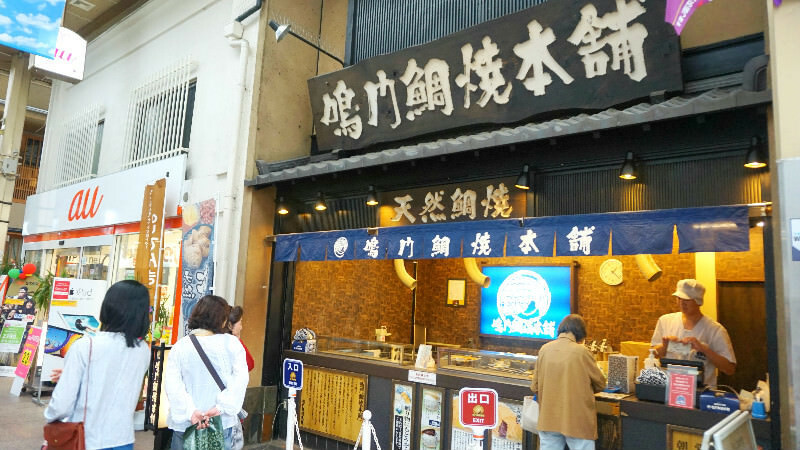 Naruto Taiyaki Honpo is a famous taiyaki place in Japan, and it is always busy. Taiyaki is a kind of cake, but in the shape of a fish with usually sweet red bean paste inside of it. Inside of the taiyaki there is either sweet red bean paste or a type of sweet potato called Narutokintoki. I had the red bean paste, and Vanessa sweet potato! And it really was that good! 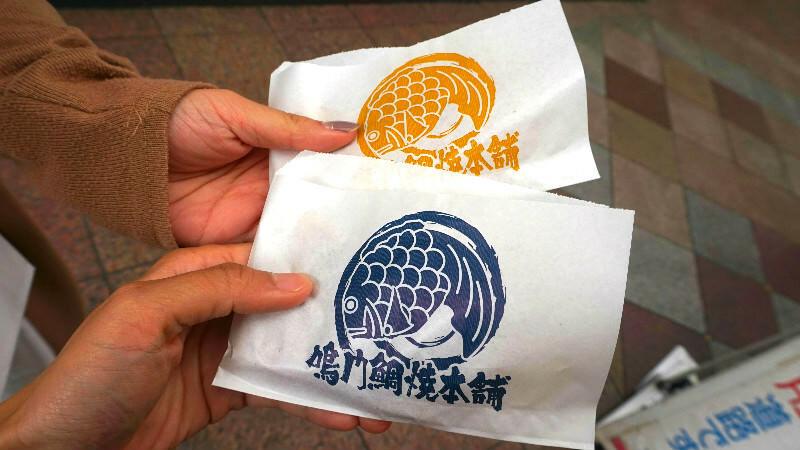 All of these taiyaki are handmade, and the way the sweetness of the red bean paste goes with the crunchy crust and the soft inside of the fish-shaped cake is just delicious! It was a sweet snack break. 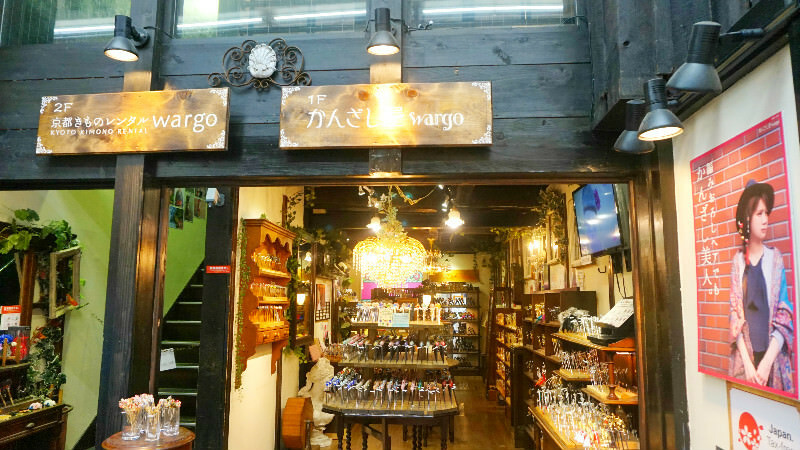 We are nearing the end, and lastly, we went to the kanzashi specialty store Kanzashiya Wargo! They specialize in the traditional Japanese hair ornaments called kanzashi. 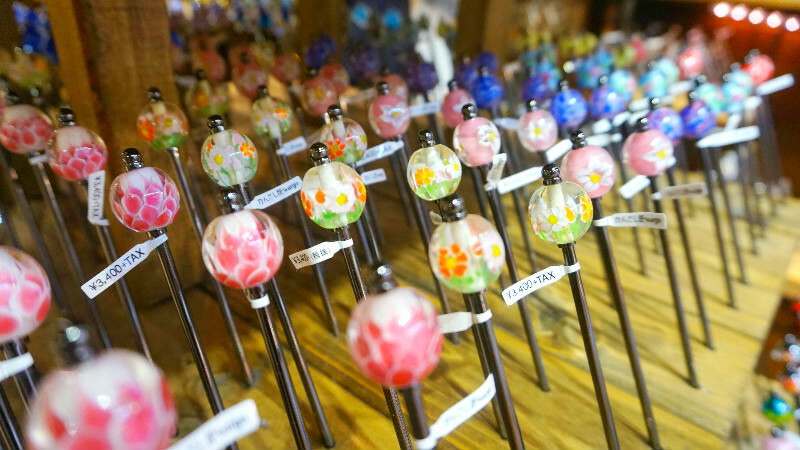 They are all handmade, so no two are alike, and they are all really beautiful and fashionable, and so Kyoto-like they make great souvenirs. There were many other clothing and souvenir shops, and it was so fun looking at all of them that before we noticed it was already afternoon! This ends Shiho’s and Vanessa’s shopping report. Well done for the both of us! 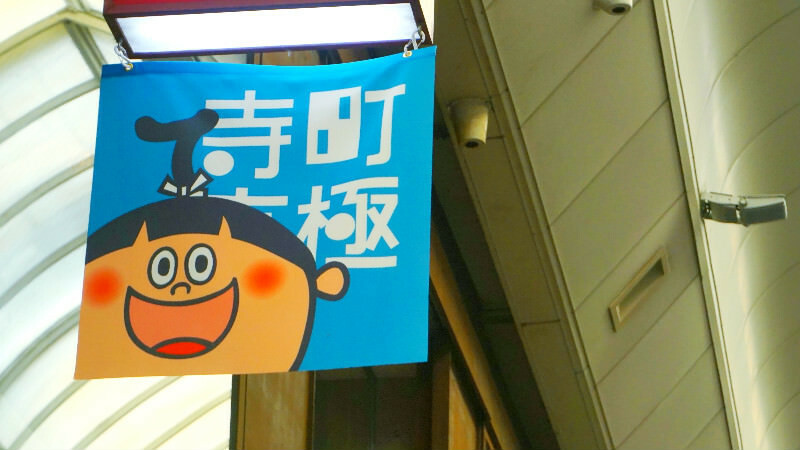 How did you enjoy this article about the shopping streets of Teramachi & Shinkyogoku? These two streets are always fun places to visit, and they made me like Kyoto even more. 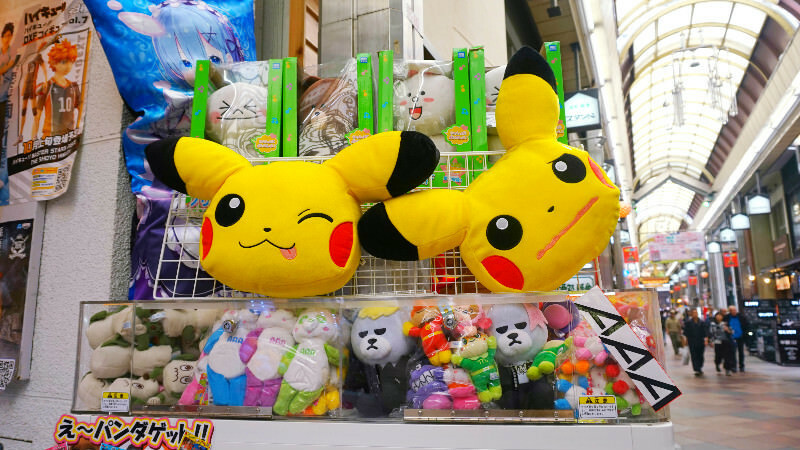 I hope you will include these fun places in your Kyoto itinerary next time you visit! 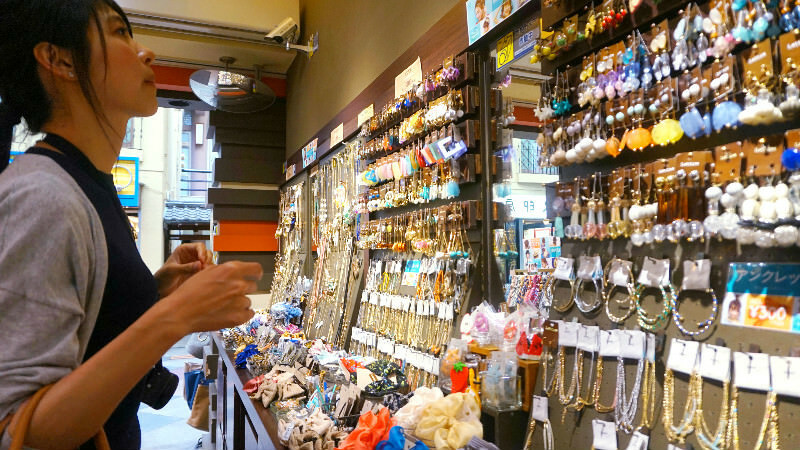 Part 1What are Teramachi and Shinkyogoku shopping streets? Part 4Vanessa and Shiho, shopping in Teramachi!